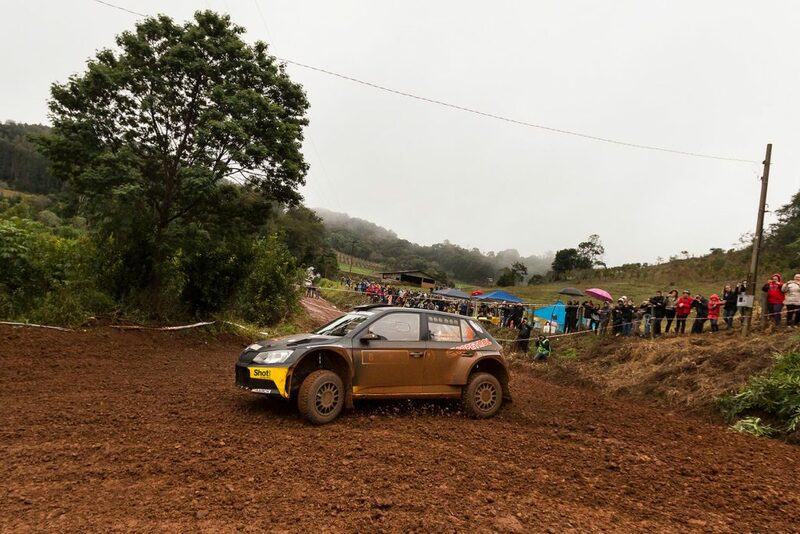 Marcos Ligato claimed victory at the Rally Internacional de Erechim (19th to 21st May) in Brazil to extend his lead at the top of the CODASUR South American Rally Championship, as the FABIA R5 secured a 1-2-3-4 finish at this prestigious event. Rain on the second day of the rally made for slippery conditions on the gravel roads, which was challenging for all the drivers. 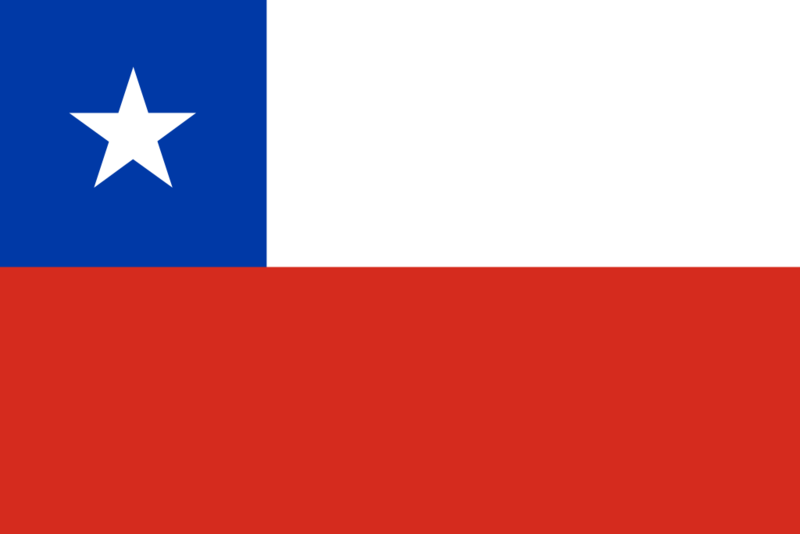 Ligato and his co-driver Ruben Garcia were driving the car prepared and run by Saba Competicion team and managed to finish just 18.1 seconds ahead of their teammate, and indeed team principal, Gustavo Saba. 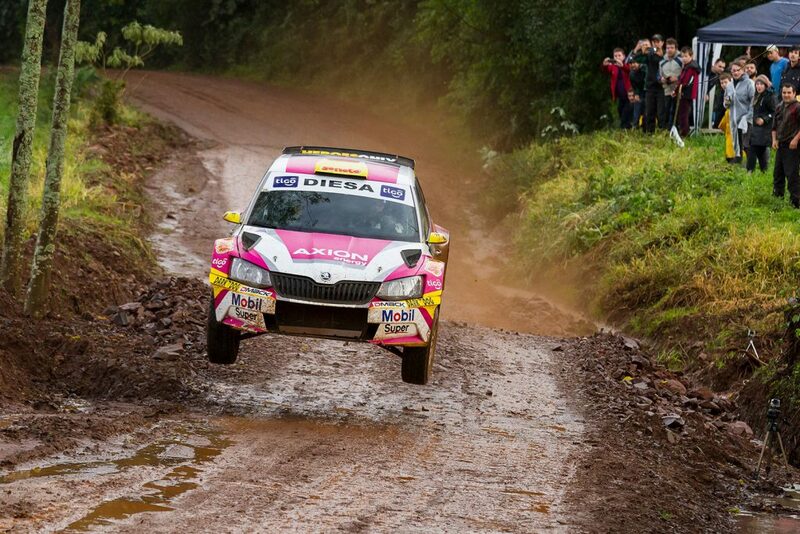 It is the first time in seven years that an Argentinian driver has claimed victory at what is one of the most prestigious rallies in Brazil. 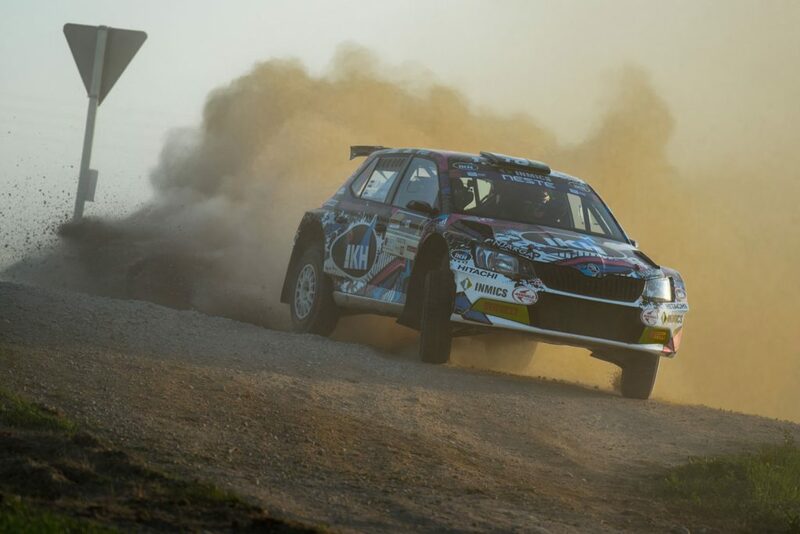 Saba is the reigning CODASUR champion but the Argentine has pipped him to victory in both South American championship rallies that have taken place so far. Saba himself finished just over 30 seconds ahead of another FABIA R5, this one being the driven by Didier Arias / Hector Nunes, who ensured that it would only be ŠKODA drivers sitting on the podium. 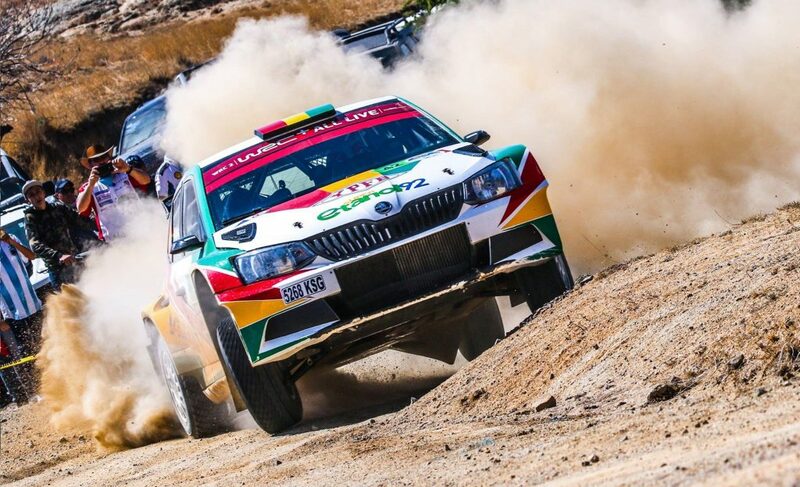 And with the MZR Rally FABIA R5 of Miguel Zaldivar / Edgardo Galindo coming home in a comfortable fourth place, it was another dominant day for the FABIA R5 in South America. 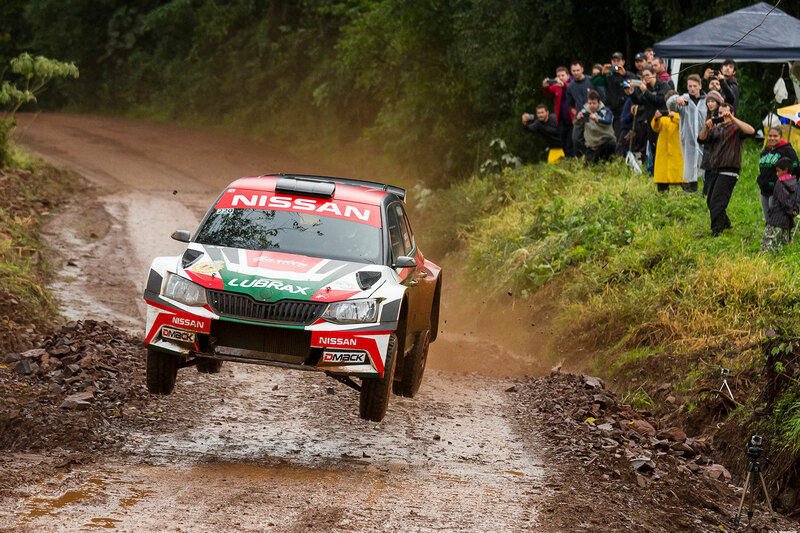 His second successive victory means Ligato has extended his lead at the top of the CODASUR championship standings, with Saba remaining in second place. The next round of the CODASUR Rally Championship will be the Rally de Misiones, which takes place in Argentina from the 7th to 9th July. 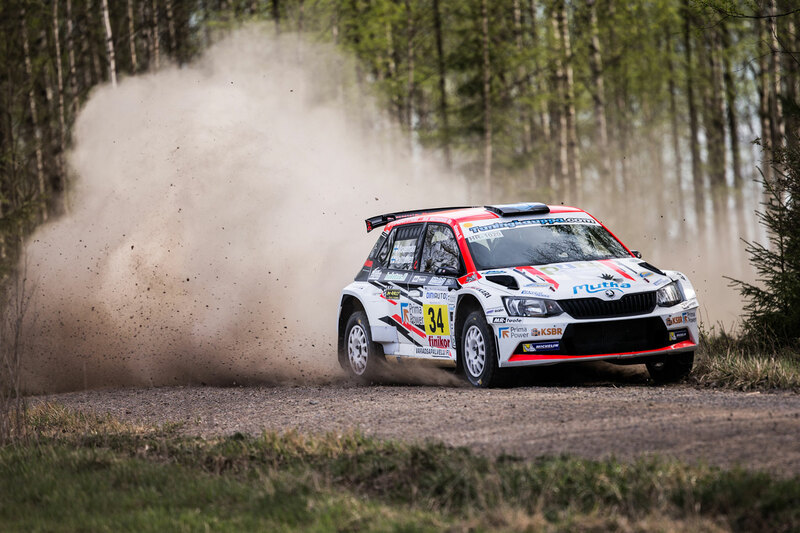 It was a story of complete ŠKODA dominance at the Riihimäki-Ralli (20th May), the fourth round of the Finnish Rally Championship, with the FABIA R5 securing a fantastic 1-2-3-4 result. It couldn’t have been closer between the top 3 as well, with just 4 seconds separating first and third at the finish. The Printsport Oy pairing of Marko Mänty / Joni Mäkelä were the ones to emerge victorious. 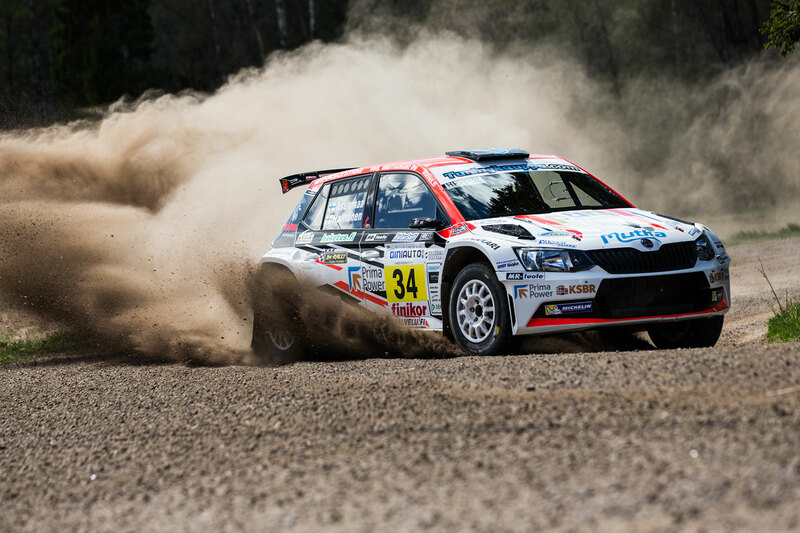 Mänty is an experienced driver at 43 years of age, but this was his first ever victory in the Finnish Rally Championship, in what was just his fifth drive in a FABIA R5. He ended up 3.4 seconds ahead of everybody else and was understandably delighted with his drive. In contrast to Marko Mänty’s years in the sport, the car to finish second was a debutant in a FABIA R5. 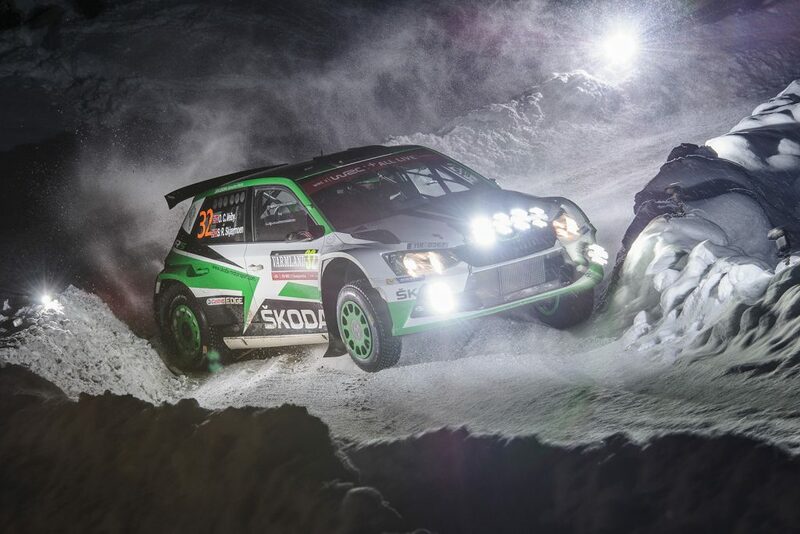 Juuso Nordgren, who is just 21 years old, driving the car of the TGS Worldwide OU team and alongside co-driver Mikael Korhonen, was taking part in his first rally of the year and first ever in a FABIA R5. Whilst there may have been some disappointment at coming so close to victory, Nordgren will have been delighted to hold off the experienced Teemu Asunmaa to clinch the runners-up place. 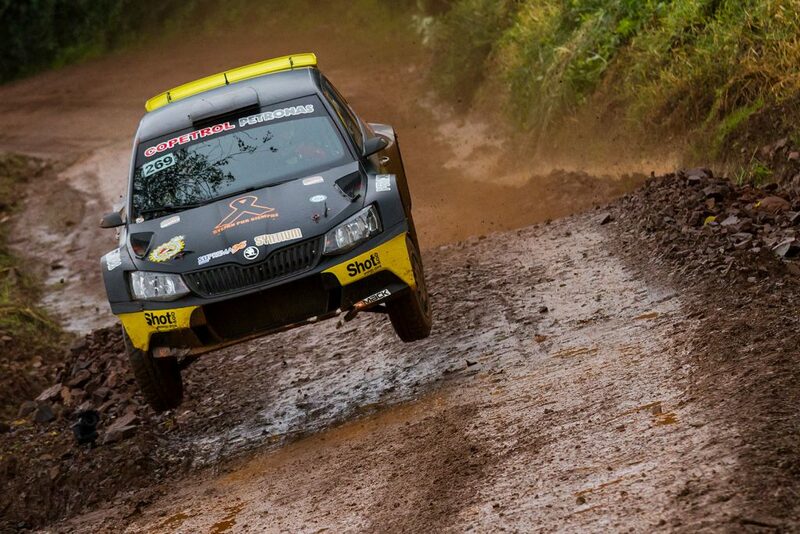 Asunmaa’s FABIA R5, which was in the colours of Hannu's Rally Team, finished just 0.6 seconds adrift of his young rival. 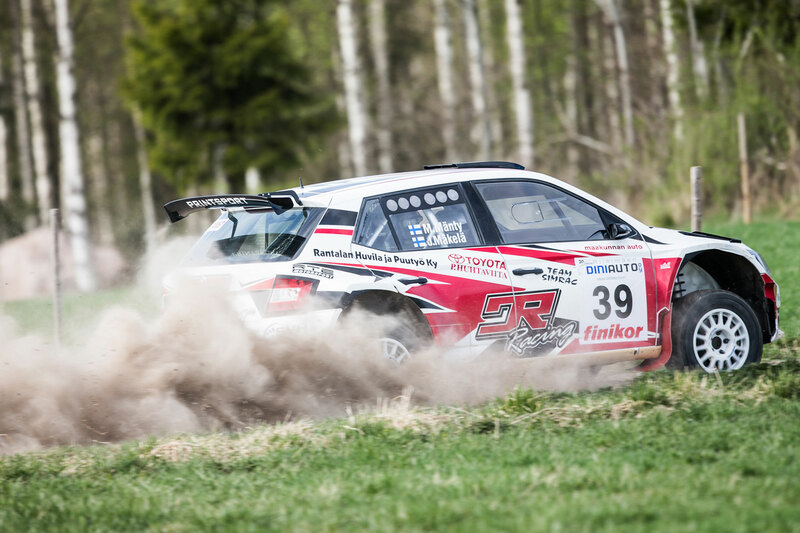 The championship leader, who was driving alongside co-driver Jonne Halttunen, was disappointed to come so close and yet not score more points, but his lead over Juha Salo (who retired in this rally) has nevertheless extended to 38. 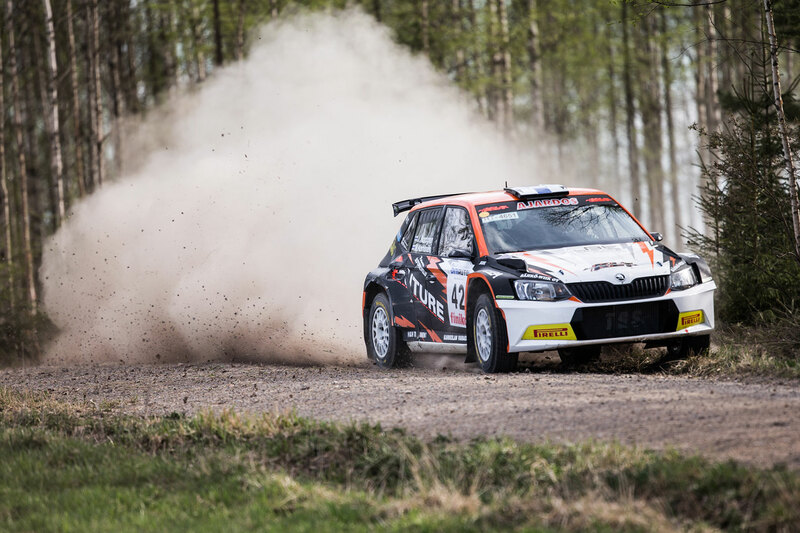 Just under a minute further back in fourth place overall were Asunmaa’s teammates at Hannu's Rally Team, Mikko Lehessaari / Reeta Hämäläinen, while there was another FABIA R5 in the seventh position as well, this time the Printsport Oy pairing of Jukka Kasi / Henri Ania. It was also their debut drive in a FABIA R5, as well as being the maiden outing for that particular car, chassis #152. 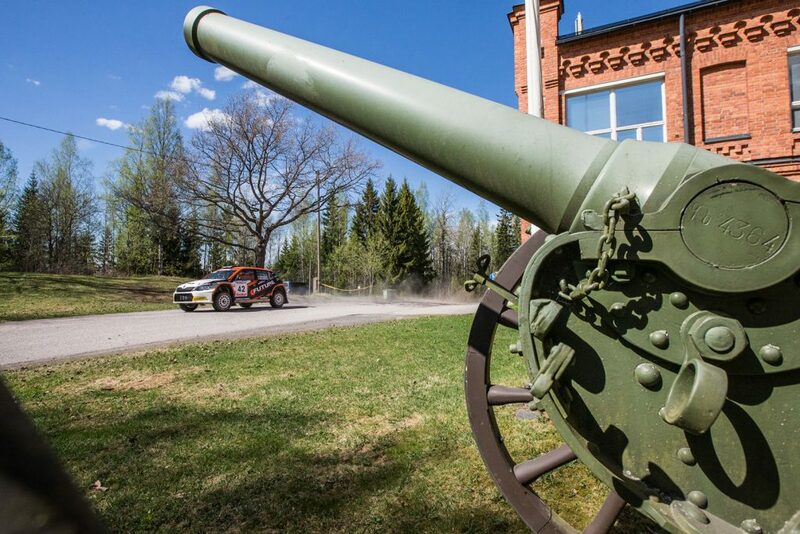 The next round of the Finnish Rally Championship will be the SM O.K. Auto-Ralli which takes place on the 9th and 10th June. The Rally Talsi (19th to 20th May) was a 12-stage, 126.5km long event, which took place in Latvia, but as well as being the third round of the Latvian Rally Championship, it was also the second round of the Lithuanian Rally Championship and the Baltic Rally Trophy. 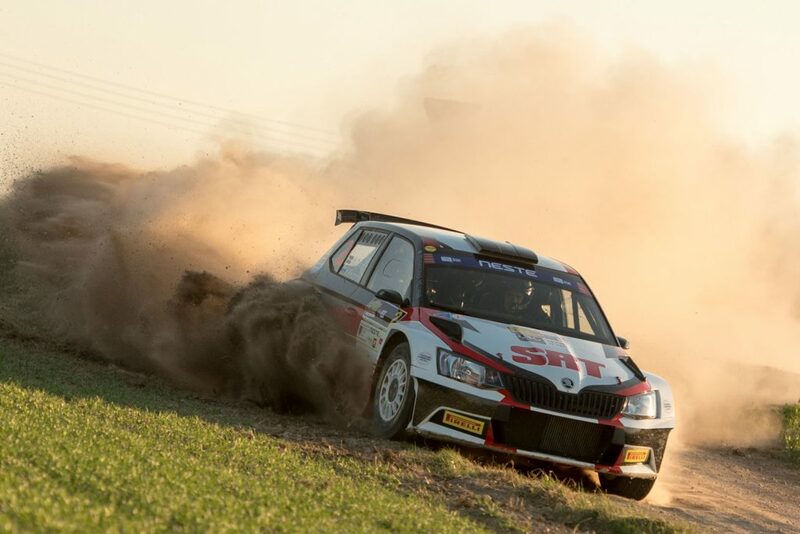 And it was the young Russian driver Nikolay Gryazin, driving a FABIA R5 for the Sports Racing Technologies team alongside co-driver Yaroslav Fedorov, who emerged victorious by the tightest of margins. 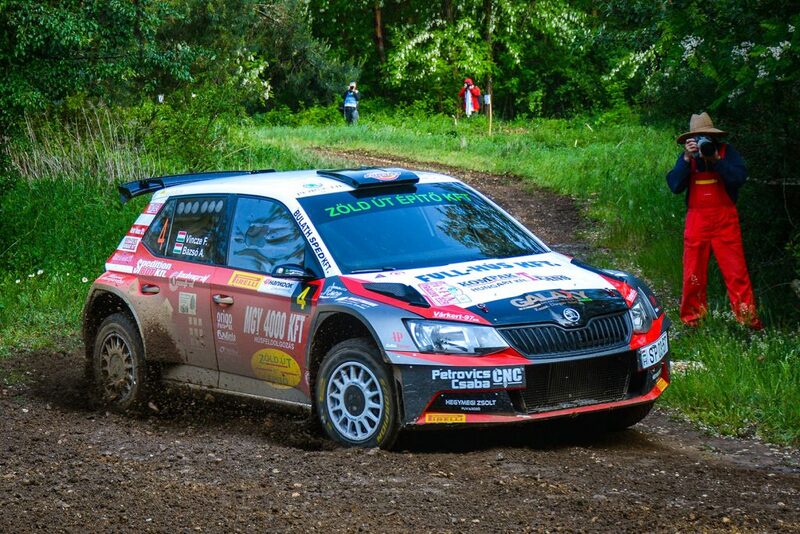 The whole rally was focused on the battle between Gryazin and the even younger Finnish driver Kalle Rovanperä, who - along with experienced co-driver Risto Pietiläinen - was also in a FABIA R5 but run by the TGS Worldwide OU team. They traded places at the top of field regularly and there was rarely more than a few seconds between them. 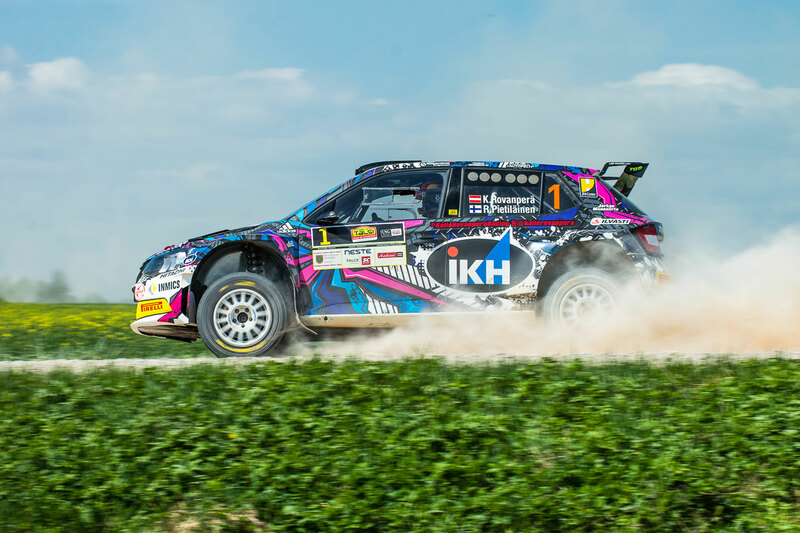 In the end, it was Gryazin who emerged victorious by a margin of just 0.74 second, despite incurring a late 10-second penalty for going off-route between stages. Kalle Rovanperä may have lost out on the overall win, but he did receive compensation in the form of the Champions Cup. In finishing ahead of Jānis Vorobjovs and Ralfs Sirmacis, Rovanperä became the youngest ever winner of this trophy. 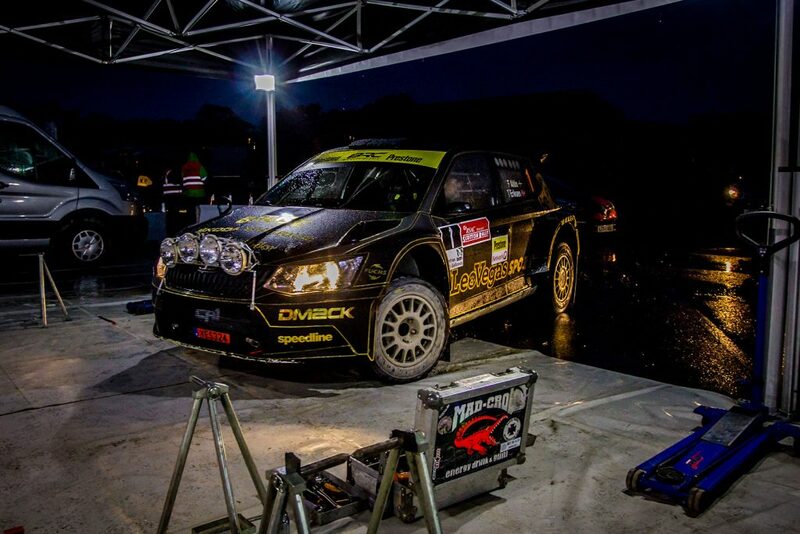 There was also another FABIA R5 inside the top 10 as Benediktas Vanagas / Agnė Vičkačkaitė-Lauciuvienė came home in seventh place for the General Financing Team Pitlane, in what was their first ever drive in an R5 car. 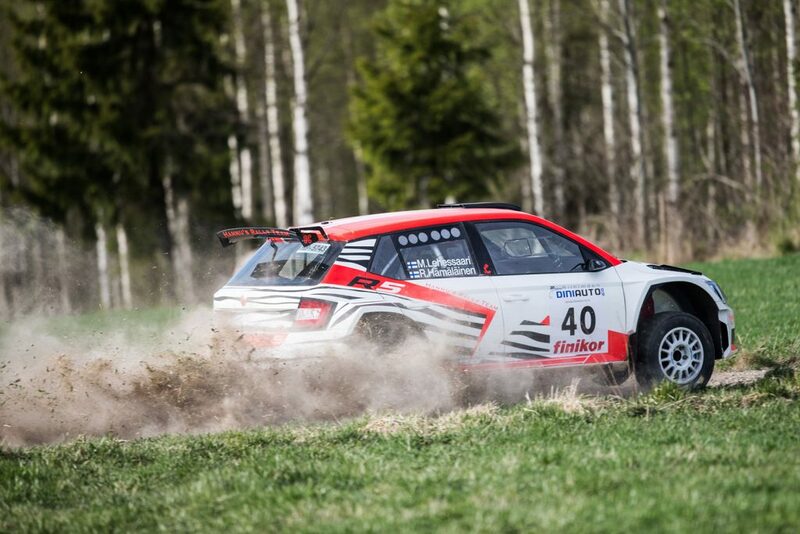 The result means Kalle Rovanperä leads the Latvian Rally Championship by a margin of 10 points from Nikolay Gryazin, but it is Russian driver who leads the way in the Baltic Rally Trophy. 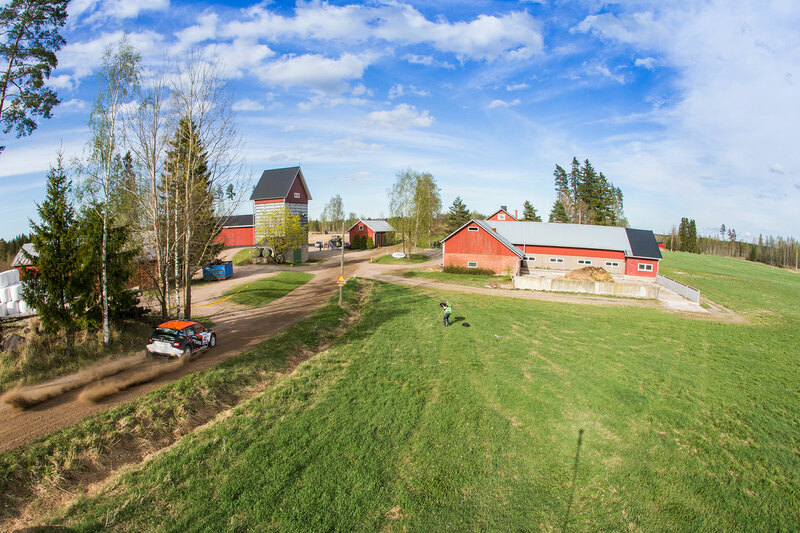 Both the Latvian Rally Championship and the Baltic Rally Trophy continue with the Rally Latvija which takes place on 22nd and 23rd July. 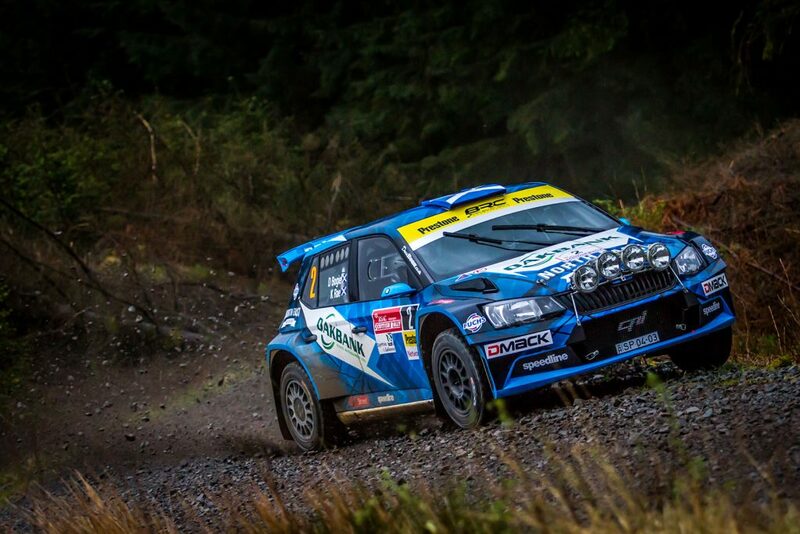 The Scottish Rally (19th to 20th May) was the third round of the British Rally Championship and saw a hard-fought victory for the CA1 Sport pairing of David Bogie / Kevin Rae, their first in the championship since 2011. 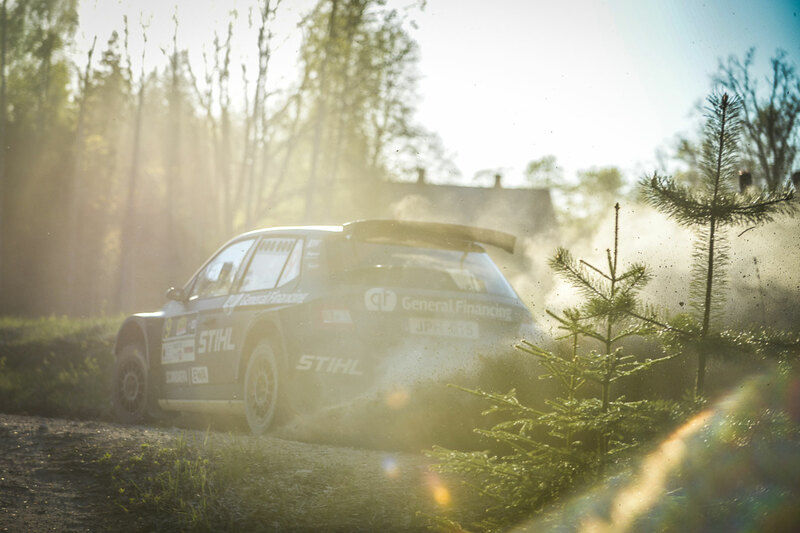 Driving on home soil, Bogie was always in with a good shout here, but it proved to be a fascinating battle between him and fellow CA1 Sport and FABIA R5 pairing of Fredrik Åhlin / Torstein Eriksen. 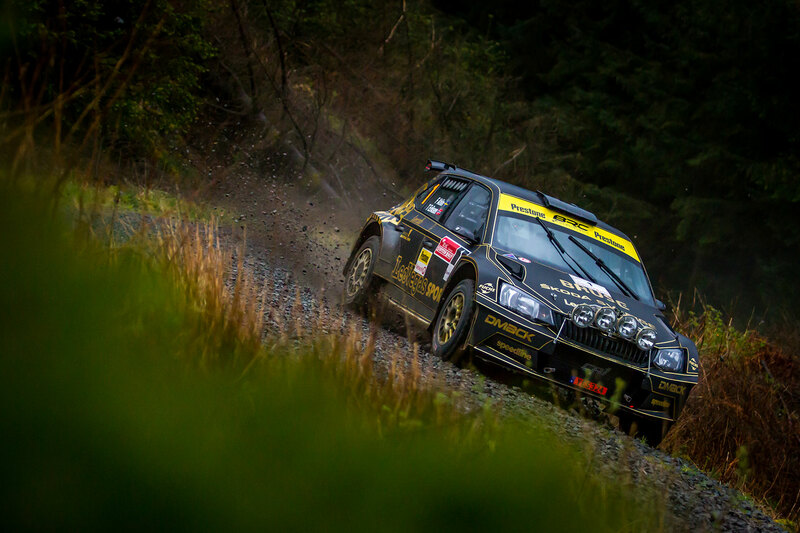 Bogie won five of the seven stages on the second leg, which comprised all but two stages of the rally, but exchanged places with championship leader Åhlin at the top of the field and there was just 0.1 second between the pair going into the final stage. 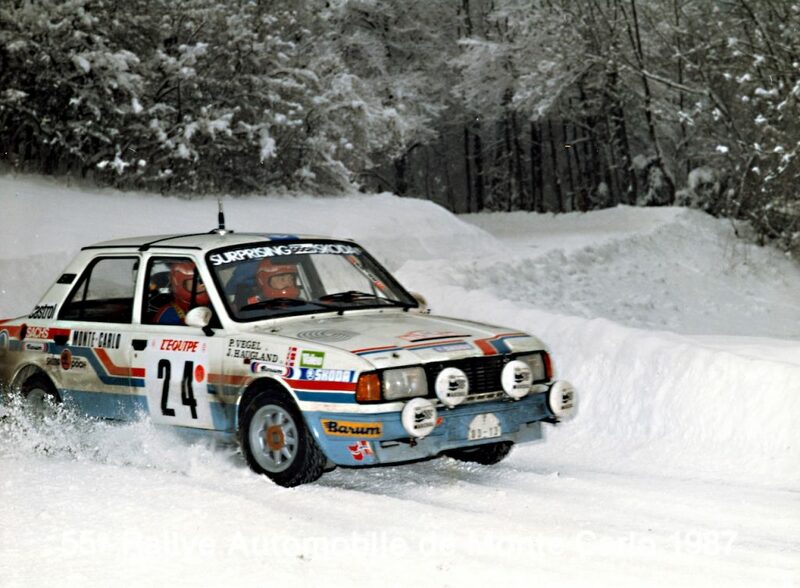 But then disaster struck for the Swede, as a collision with a rock in the road led to a burst radiator and forced Åhlin into retirement just 6km from the finish. That meant Bogie was left in command and closed out the win by a margin of 48.5 seconds from his nearest rival. 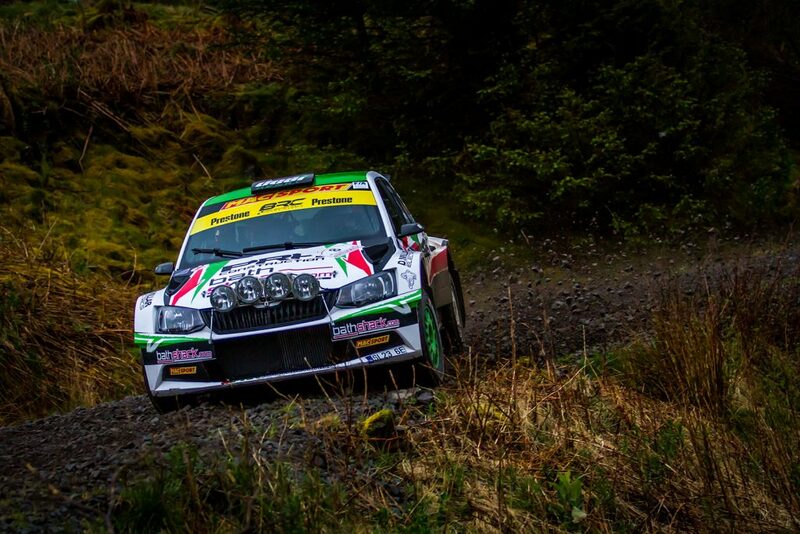 The TigerRisk Rally Team pairing of Marty McCormack / David Moynihan ensured there would still be two FABIA R5s on the podium with composed drive and a fast final stage, which saw them leap from fifth to third in the final standings. It is the second time in a row McCormack has finished on the podium at a British Rally Championship event after another third placed finish at the recent Pirelli Rally, and he was delighted with the performance. 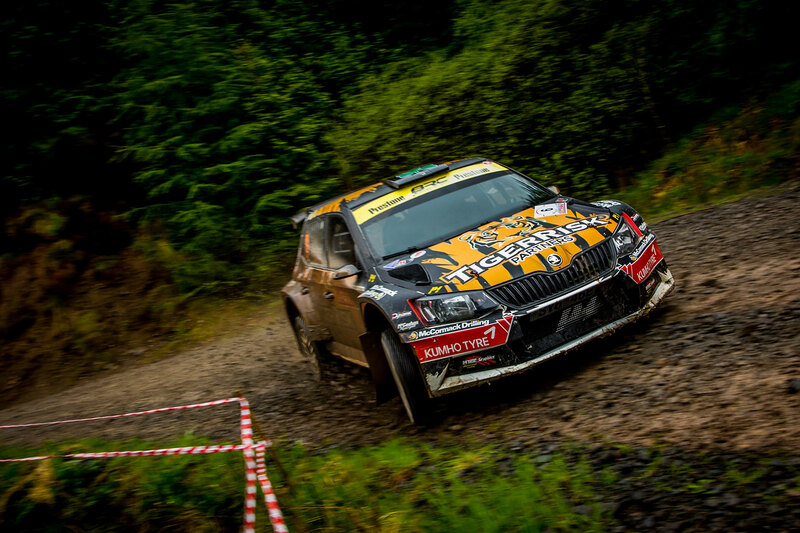 Desi Henry also put in a strong performance alongside co-driver Liam Moynihan to bring his FABIA R5 home in fifth place overall, to score their first championship points of the season after two previous retirements. The result of the Scottish Rally means Fredrik Åhlin still leads the British championship, but his margin is now down to just four points. David Bogie sits in third place, while Marty McCormack is one place further back in fourth. 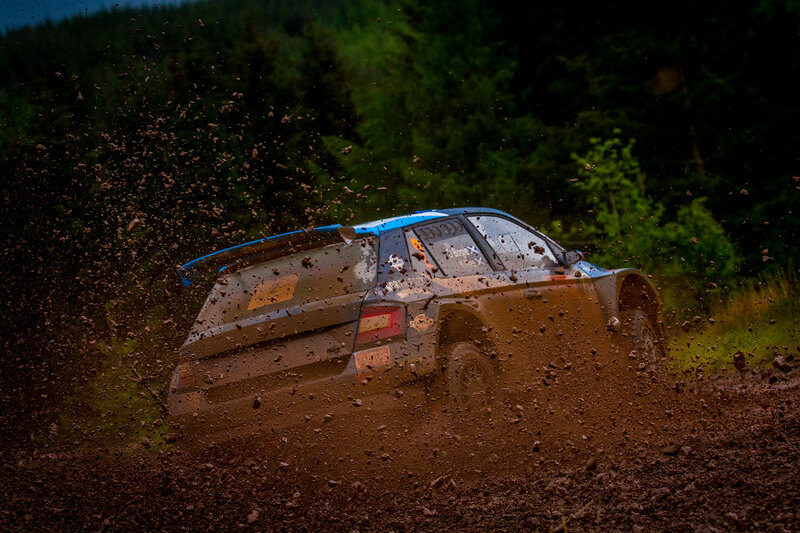 The next round of the British Rally Championship will see drivers heading to Belgium for the Ypres Rally on 23rd and 24th June. 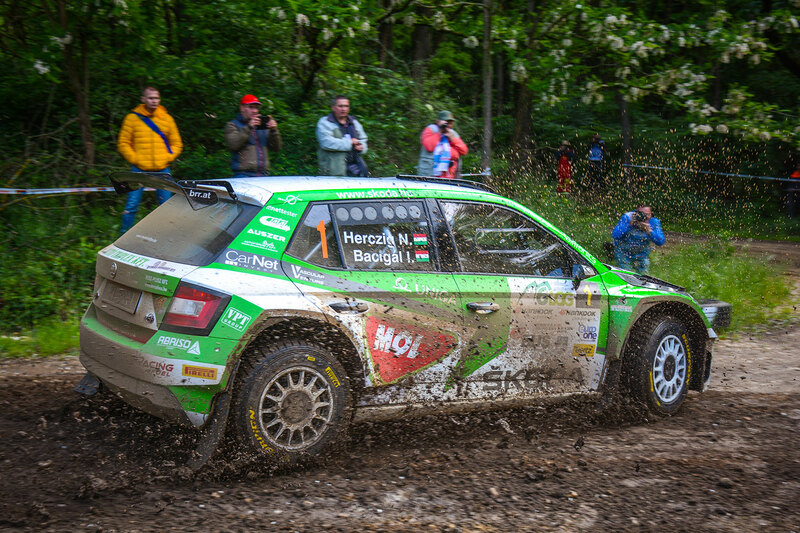 It was a ŠKODA success story this weekend in Hungary as three FABIA R5s finished in the top 4 at the Szombathely Rallye (19th to 21st May), the third round of the Hungarian championship. 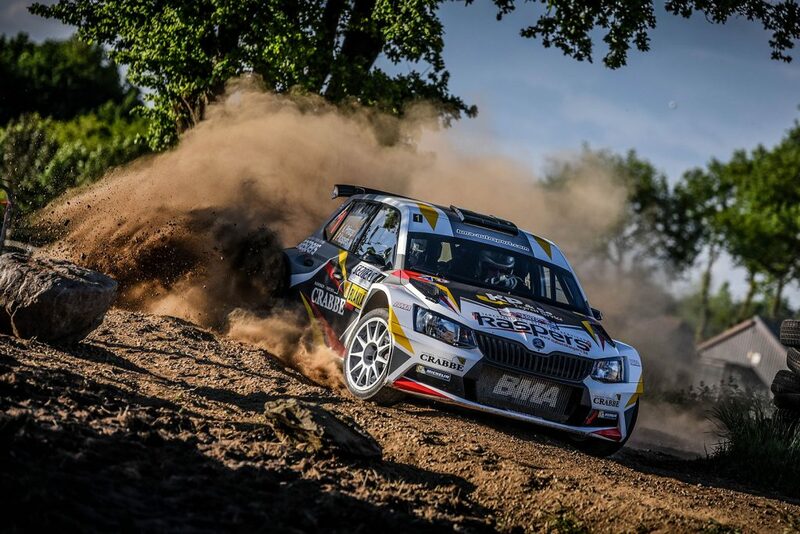 It was Norbert Herczig and his co-driver Igor Bacigál, driving for the ŠKODA Rally Team Hungaria in a FABIA R5 prepared and run by the Baumschlager Rallye & Racing team, who took the win after a dominant display. But it didn’t look like things were going to go all their way after the opening two stages when they sat in the fourth position after a tight start. But from there on they were always in control, winning two stages and finishing second in the other two as they finished the first leg ahead of the pack. And a dominant display, which saw them win all five special stages on leg 2, ensured they would end up victors by a margin of 47.7 seconds. The win was Herczig’s third podium of the season, after an earlier win at the Miskolc Rallye and second place at the Ózd Rallye. It means he sits top of the championship standings. 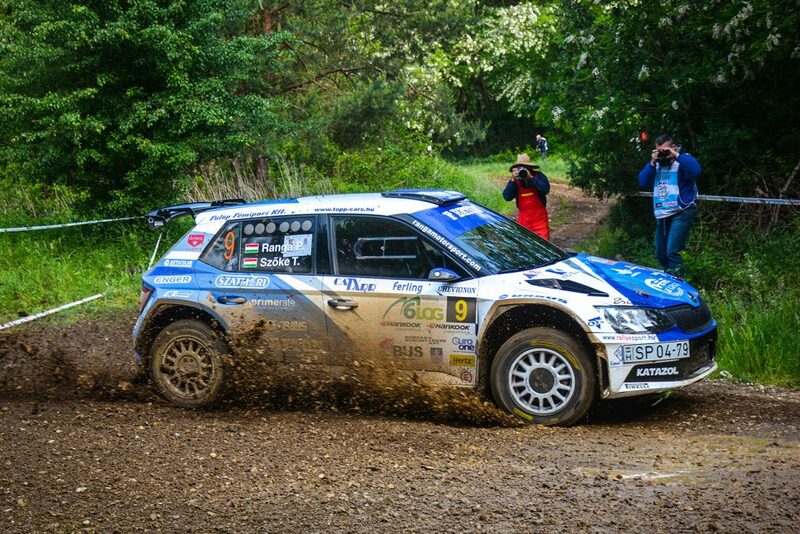 And Hercig was not the only FABIA R5 driver on the podium, with the S-Motorsport SE pairing of Ferenc Vincze Jr / Attila Bazsó finishing in third place. 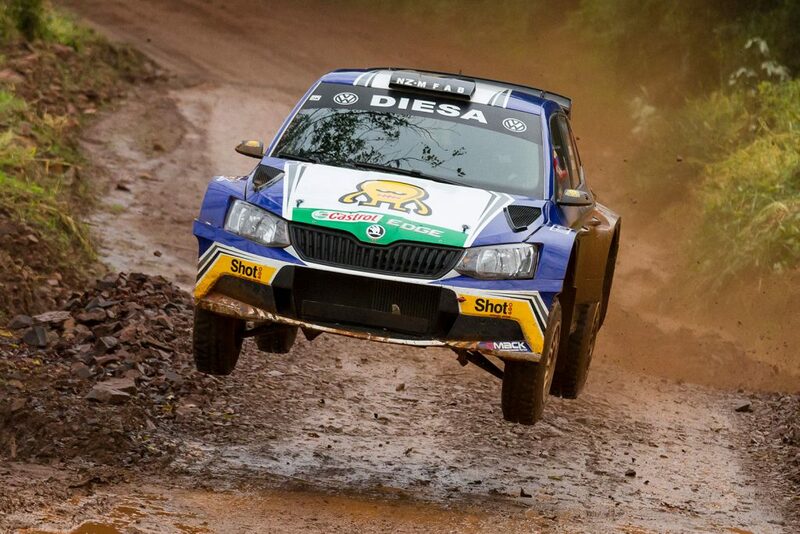 It is their second podium place of the season, in what is their first year in the FABIA R5. 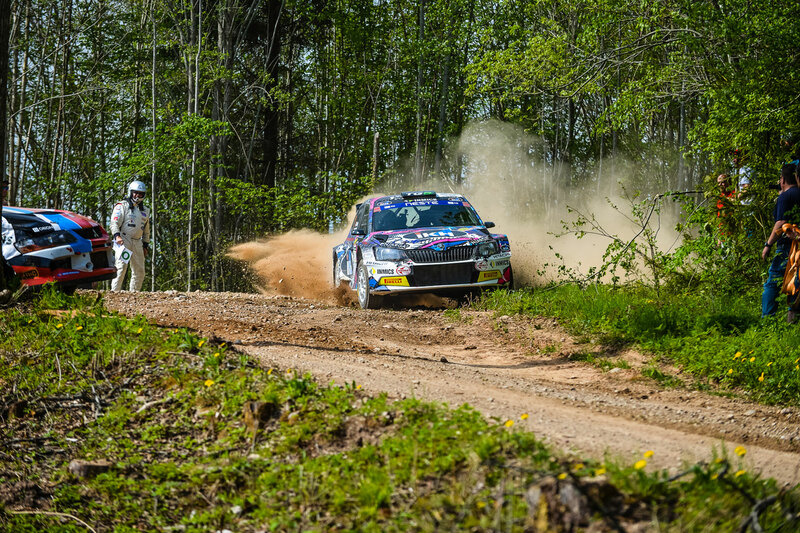 Vincze won the opening stage and was engaged in a close battle with András Hadik for second place throughout the rally, before ending up 11.6 seconds behind his rival. One place further back, in fourth position overall, were Péter Ranga / Tamás Szöke. 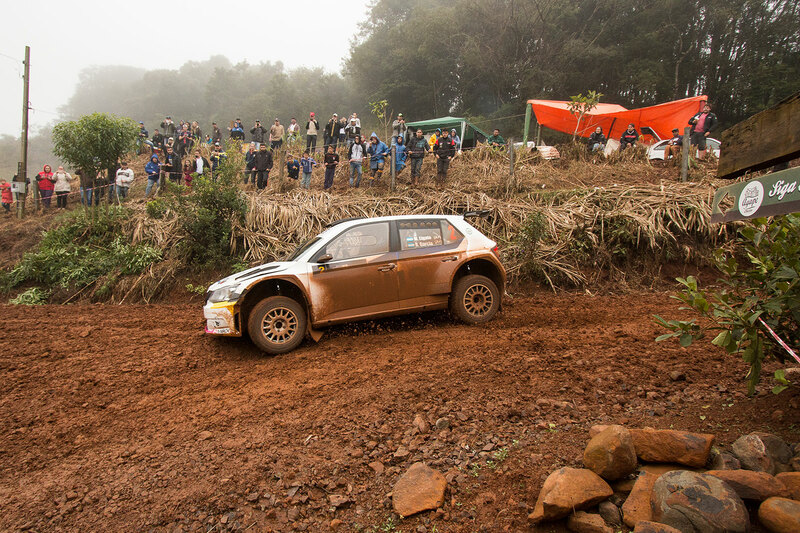 Driving a FABIA R5 prepared and run by the Topp-Cars Rallye Team for his own Ranga Rally Team, Ranga put in a consistent drive to secure his second fourth place finish of the year. 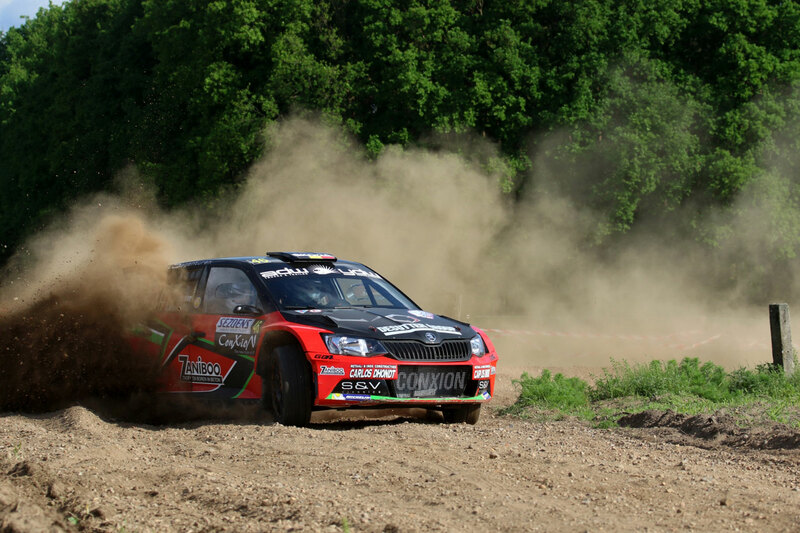 The Extrém Sport Team FABIA R5 of József Trencsényi / Gábor Verba finished the rally in ninth place. 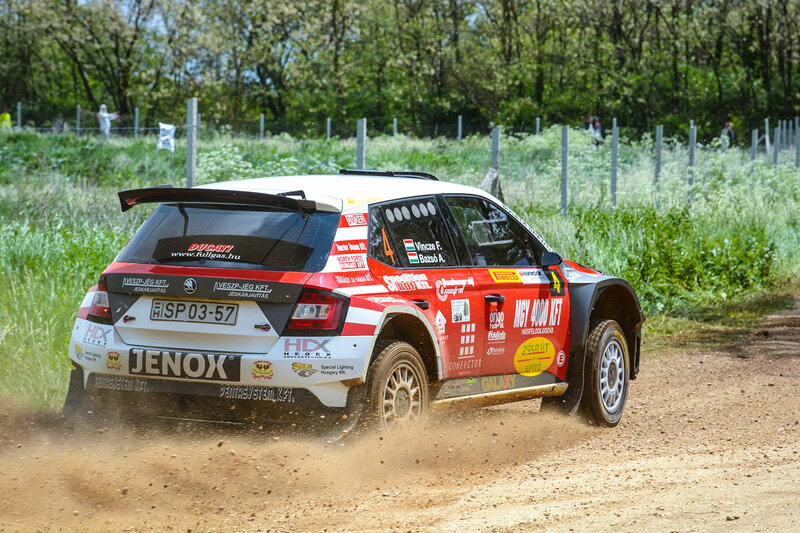 The Hungarian Rally Championship will resume with the fourth round at the Székesfehérvár Rallye which takes place from 9th to 11th June. The BMA (Bernd Munster Autosport) pairing of Kris Princen / Peter Kaspers won the Sezoens Rally (19th to 20th May), the fifth round of the Belgian Rally Championship. 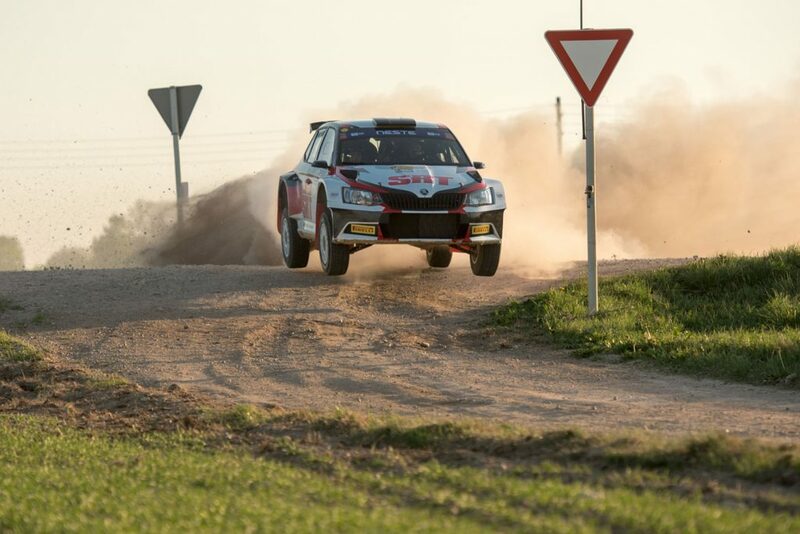 It was their second win of the season, after previous success at the Haspengouw Rally, but this time round there was an element of good fortune. 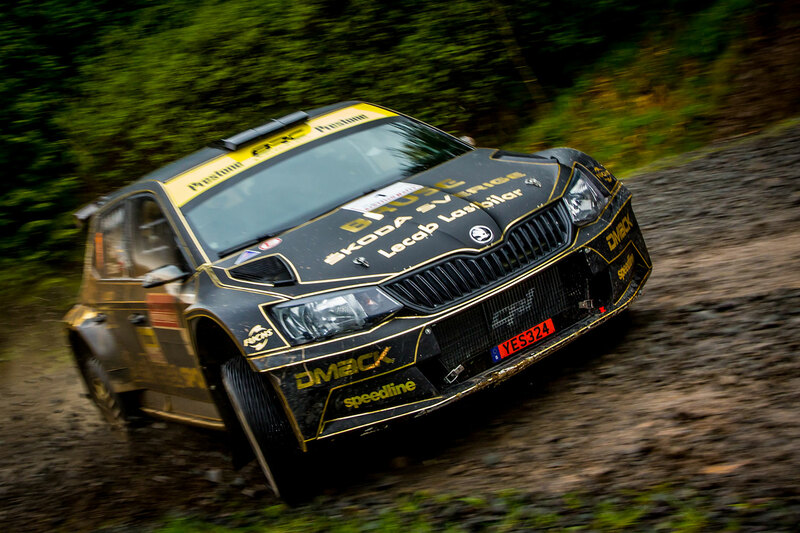 For the opening twelve special stages, Princen had been running second behind the current championship leader and fellow FABIA R5 driver Vincent Verschueren and his co-driver Gert Broekaert. 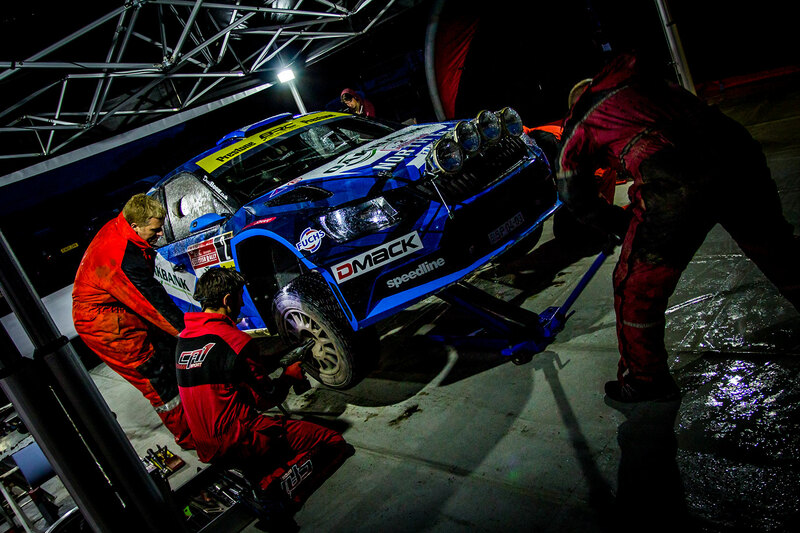 They had won eight stages and were just 2.5 seconds ahead in what was a thrilling contest. But on stage 13 they hit a big stone and the damage caused forced them out of the rally. That left the way clear for Princen to close out the win by a margin of 1 minute and 14 seconds from his closest rivals. Vincent Verschueren meanwhile was prosaic in retirement. “I was the first car to go that wide there and knew I had to keep on track or my right wheel would end up in the gravel. There was a lot of gravel in that corner. We went perhaps a centimetre too far and we hit the stone. It is a shame. But we will be back at the next round in Ypres. 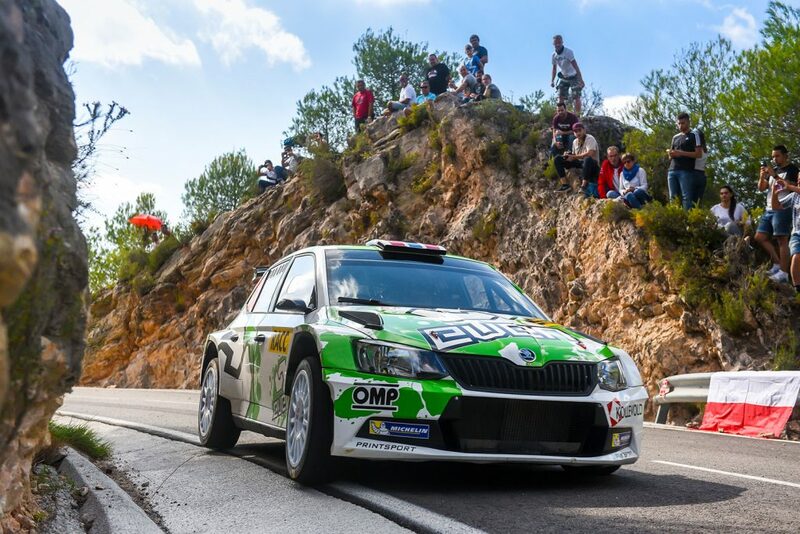 Further down the field, Benoît Allart / Kevin Fernandez, driving a FABIA R5 for the Bayard team, came home in fifth place. And a notable performance was also put in by the young Duindistel driver Achiel Boxoen and his co-driver Jasper Vermeulen. 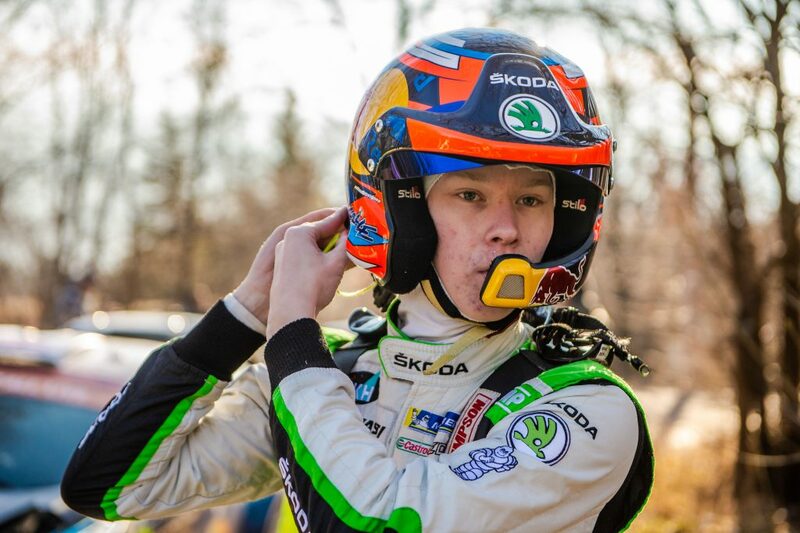 The 21-year-old Belgian is a protégé of Belgian rally - and indeed ŠKODA - legend, Freddy Loix, and was running in an impressive seventh place overall, before falling victim to the same stone that forced Vincent Verschueren out of the rally. The next round of the Belgian Rally Championship will be the Ypres Rally on 23rd and 24th June. 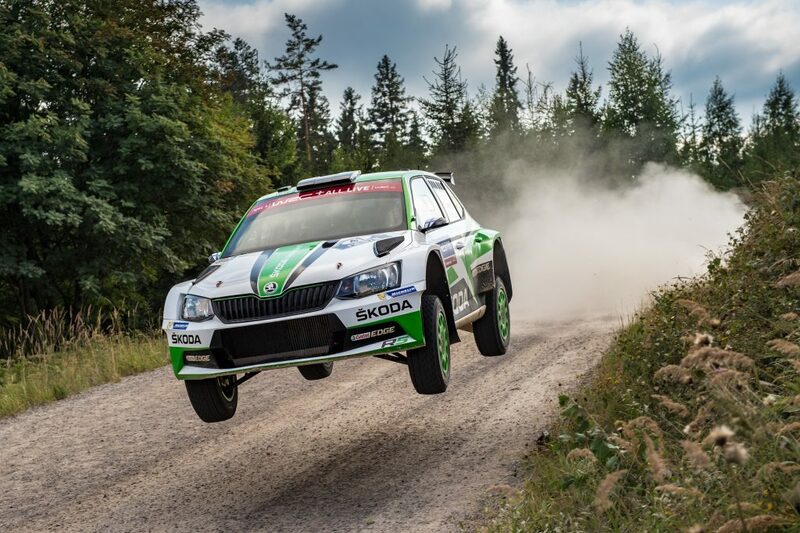 In the sixth round of the FIA World Rally Championship (WRC), at the Rally de Portugal, there was another victory for ŠKODA Motorsport in the WRC2 standings as Pontus Tidemand / Jonas Andersson claimed their fourth win of the season. 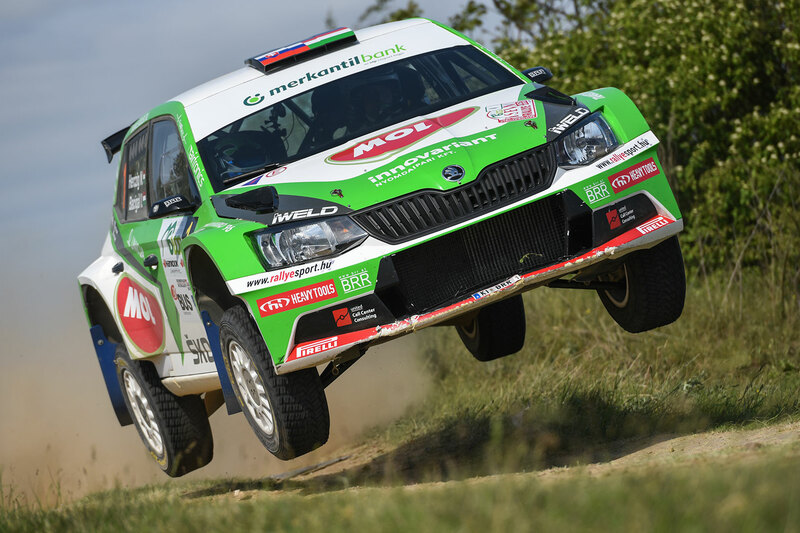 There ARVidal-run FABIA R5 of Miguel Campos / António Costa came home fourth in the WRC2 standings while the Team Orlen pairing of Hubert Ptaszek / Maciej Szczepaniak finished ninth. 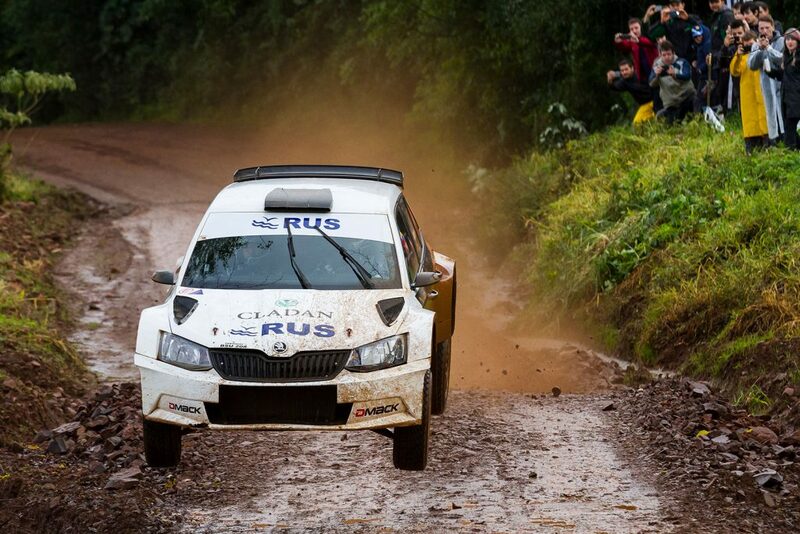 In the classification of the Portuguese Rally Championship event, which consisted of the opening 12 stages of the Rally de Portugal, there was a victory for Pedro Meireles / Mário Castro, whose FABIA R5 was also run by the Spanish ARVidal team, while Ricardo Marques / Paulo Marques came home fourth in their FABIA S2000. The Rally Bulgaria was both the opening round of the Bulgarian Rally Championship and the second round of the Turkish Rally Championship. 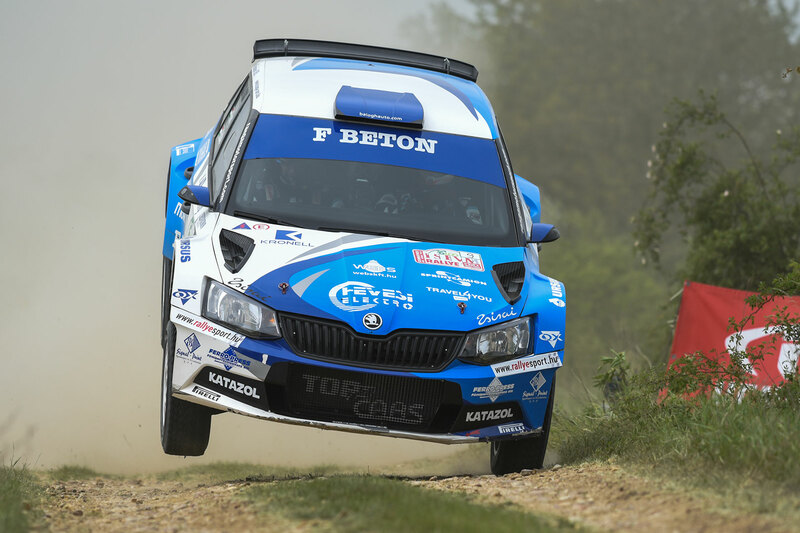 There was a strong result for the BC Vision Motorsport FABIA R5 (which was prepared and run by the Topp-Cars Rallye Team from Hungary) of Burak Cukurova / Vedat Bostanci. 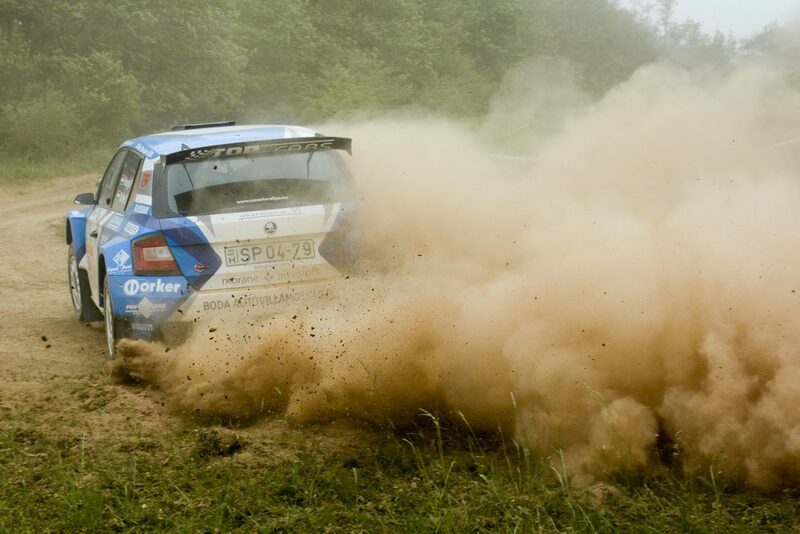 They finished second overall and they took the lead in the Turkish championship after its two opening rounds. Teammates Uğur Soylu / Aras Dincer finished ninth overall, but fourth in the Turkish championship standings in their FABIA R5. Jan Kopecký / Pavel Dresler steered the ŠKODA Motorsport’s FABIA R5 to victory at the Rallye Český Krumlov, the third round of the Czech Rally Championship. It was their third win of the season and came by a margin of 1 minute 42 seconds to cement their place at the top of the championship standings. Meanwhile, Mogul ŠKODA ACA Racing, who had to rebuild the FABIA R5 of Jan Černý / Petr Černohorský Jr after a big crash at the ERC Rally Islas Canarias will have been delighted with their fourth place finish. One place behind them in fifth were the Klokočka ŠKODA Czech National Team pairing of Vojtěch Štajf / František Rajnoha, while Jaromír Tarabus / Petr Machů came home eight in their FABIA S2000. In the second round of Italy’s International Rally Cup, the Rally Internazionale del Taro, there was a win for Luca Rossetti / Eleonora Mori. The DP Autosport pairing finished 26.1 seconds clear of the field to secure their second successive win of the season in this series. In the French Cup, at the Rallye Régional de la Matheysine, Michel Giraldo / Thierry Muscat overcame a 10-second penalty to win by a margin of 19.5 seconds with fellow FABIA R5 crew Thierry Pascal / Dimitri Girardi finishing in third place. Also in the French Cup, Pierre Ragues / Julien Pesenti won the Rallye Régional de Mézidon-Canon by 5.2 seconds and at the Rallye National de la Vallée du Cher, Nicolas Hernandez / Kévin Bronner missed out on victory by just 5.1 seconds. They were second overall, one place ahead of Laurent Fauguet / Philippe Petitjean who finished third.